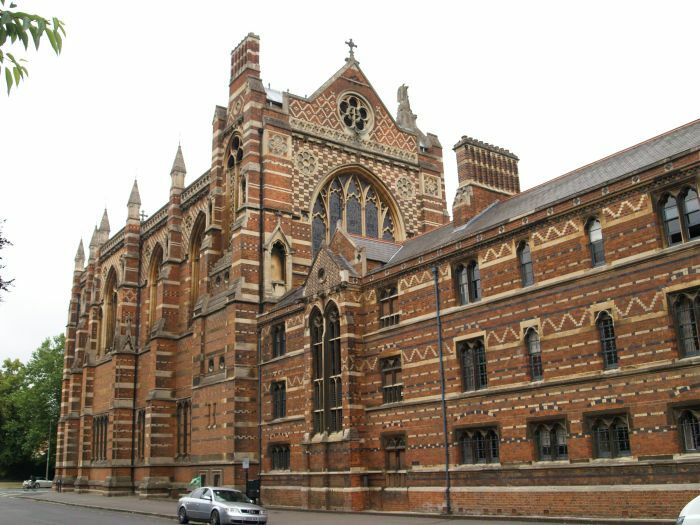 The Victorian Keble College founded in 1870, with its magnificent patterned coloured brickwork, something of a departure from the traditional local stone. Keble College Chapel from the central quadrangle. 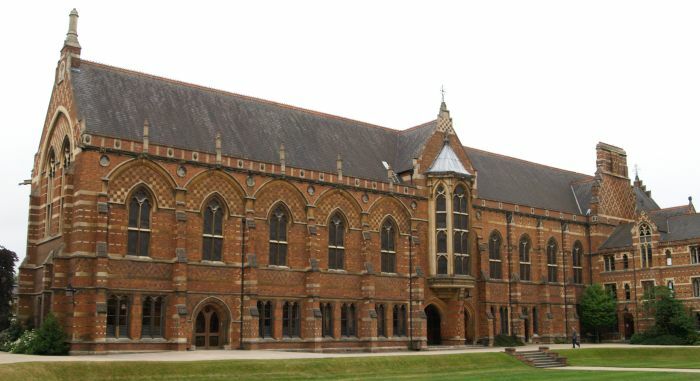 The amazing brick patterns make it architecturally the most distinct of Oxford Colleges - I guess you love it or hate it! I love it, but me dad was a 'brickie'! 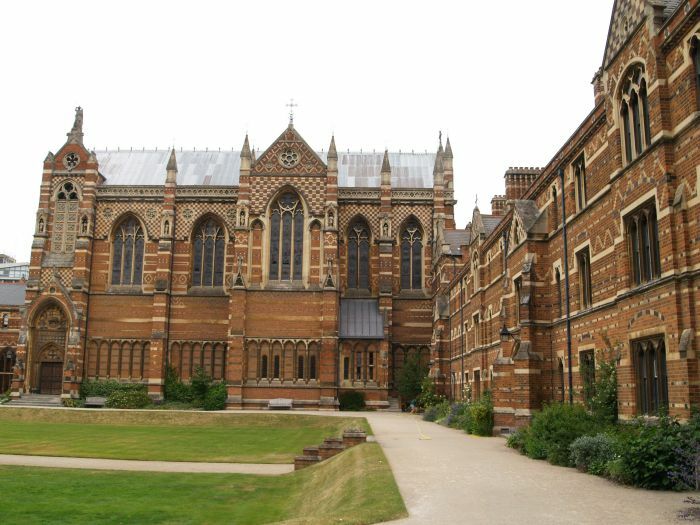 The quadrangle of Keble College, Oxford University. 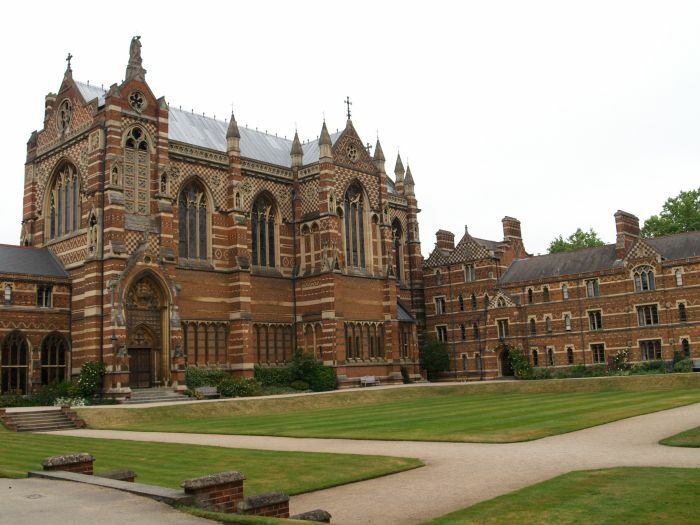 Keble College Chapel, Oxford University.